The way companies as well as consumers are currently jumping on the Internet of Things can be compared to the hype during a gold rush. Who are the only certain winners during a gold rush? The infrastructure providers like the shovel makers or the railway companies – not the average gold digger. Drawing from that analogy, it will be the IoT infrastructure providers that will reap big from the Internet of Things development. These 5 pillars are an essential part for any internet-connected device. Let us explore the companies that operate in these individual IoT infrastructure verticals. Out of different solutions in the initial stage and development of IoT infrastructure, ARM® mbed™ IoT Device Platform claims to provide end-to-end solution. As the IoT is aiming at connecting devices with each other, ARM mbed provides the basic layer of services with interoperability between nodes, cloud services as well as basic IP networking, security, application layer and device management. All needed for high level IoT application development. As ARM indicates, these components are common for most use cases. It provides all the key ingredients to build secure and efficient IoT applications through ARM’s mbed OS, mbed Device Server and mbed Community Ecosystem. Other important mentions in this ecosystem are Xively, Thingworx, Axeda, Evrythng, and 2lemetry. As a basic idea itself, IoT includes the connection of devices and the transmission of data. The Telco company AT&T is making great efforts to position itself as a leading network provider for such IoT device connections. AT&T has already collaborated with many different players in different verticals of IoT such as Amber Alert GPS, Garmin, iLOC, etc. to certify and approve devices that can be used in the IoT spectrum. Other large telecommunication companies such as Vodafone, Telefonica, or Verizon, etc. are also making major investments or are planning to make a big push in the IoT infrastructure. Vodafone has provided demos of a number of IoT applications like smart city, car sharing, safe city along with different partners at the Mobile World Congress 2015. But the telcos have to adapt to the necessities of the IoT solutions. Most of the IoT applications need different specifications for communication and data transfer. The power that is needed to operate must often be low. Therefore, mobile networks only make up a part of the access technologies. There are plenty of other access technologies like Zigbee, Wifi, or Bluetooth which serve a specific profile of power usage, bandwidth, and range. 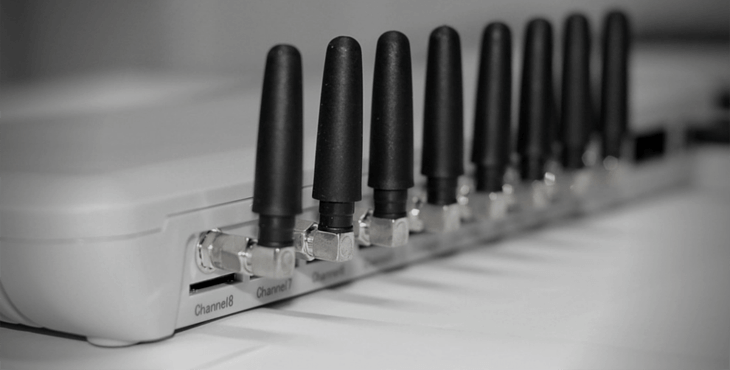 LPWAN – Low Power Wide Area Network is proving to be an interesting alternative for the existing M2M wireless communication standards. In this space, the possibility to use unlicensed WAN provides an opportunity for smaller companies to innovate and be early in market. However, this could come at the cost of lower security. In the near future, regulations to increase security can be expected. The streams of data that originate from devices of multitude capacity need to be stored securely so that it can be accessed and operated upon. Already a few of the top 20 companies leading the IoT development are companies that are strong in providing cloud solutions. Microsoft Azure, Amazon Web services, HP Helion and Oracle Cloud are some of the competing cloud solutions in this space. The advantage for most of the companies providing these IoT infrastructure cloud solutions is that the solutions can be used directly by the IoT applications. Hence, these companies are in the strong position of expanding their cloud business to the Internet of Things by further scaling their existing solutions. These companies might just have to focus on the possible interoperability challenges that arise due to different types of access networks. Most of the cloud solution companies mentioned above, in a way, fall into the category of big data players. But big data is more than just data storage. Big Data requires high-performance analytics. While some of the companies mentioned above offer some form of data analytics, the big names that offer complete data analytics packages are IBM, Oracle, SAP HANA, Teradata, to name a few. On top of the large integrated analytics vendors, there are some smaller pure-play analytics platforms that offer specific analytics modules like predictive analytics, streaming analytics, data mining, or forecasting. Among these companies are Splunk, 1010data, Actian, or Cloudera. If there is a single-one enabler of value in the Internet of Things, it has to be data analytics. But given that the competition in this space is already very high, the question is how many of these companies can use the acceleration of IoT to become a leading IoT infrastructure provider in the data analytics space. At this point, the security issue that exists in the current cyber space infrastructure reduces the credibility of IoT solutions. Data privacy of connected personal devices and the potential subsequent data misuse could become a major hindrance to the Internet of Things development. People need to feel that their data is safe in order to embrace the acceleration of IoT products. Identification and provision of proper security solutions will be a major boost in this process. ARM® clearly insists on the security at different levels starting from device to the data storage platforms. indicates the challenges faced by major companies in designing the security model for IoT. I believe the IoT infrastructure providers will start seeing the rewards of their investments into IoT infrastructure pretty soon. While this gold rush needs no shovels or railways, the companies above that provide platforms and connectivity will enjoy a very prosperous income as the IoT rush continues. We, at IoT Analytics, continue to monitor these IoT infrastructure companies and their developments. We are always happy to hear your feedback and suggestions. Interesting article on IoT covering many aspects of Infrastructure components. I would require your help on How IT Infrastructure business can be focused using Internet of Things. I am from Presales team of Infrastructure. Wanted to know how beneficial it would be for Infrastructure from IoT. IoT Analytics is a leading provider of market insights and strategic business intelligence for the Internet of Things (IoT), M2M, and Industry 4.0. More than 40,000 IoT decision makers rely on IoT Analytics’ data-driven market research every month.